Several year ago a blogger contacted me and wanted to host a WOW author on a blog tour. Well, she didn't have many followers but she was so eager that we made an agreement--I would include her on the tours as long as she didn't cost the authors any time or money. Basically, she was stuck with pdfs to plow through and review. Before long Musings from the Slushpile and Julie Lindsey became one of my, and WOW readers, favorite blogstops. But Julie hasn't just been blogging and I thought it would be fun to invite her to The Muffin to share her writing experience with us. WOW: Julie, here at WOW we remember you from just a few years ago when you were a WOW blog tour host/fledgling writer and now you have over a dozen published books to your name and several more in production. How have you managed to write so many books in so short a time? Julie: I was blessed to hook up with the right people early on. A really nice girl at WOW! Gave me sage blogging advice and a place for support. *points to Jodi* I also found a critique group of authors to work with me. I joined local writing groups, attended conferences and actively sought instruction on all things authorly. About a year later, I got my foot in the door at a small online press, Turquoise Morning Press, where I wrote sweet romance and learned everything I could from my editor. I applied that information, tightened my craft and kept writing. I’ve used social media to stalk agents, publishers and editors. I stay on top of what’s happening in the industry and I jump on any and all opportunities to network or get my work read. I’ve spent the last three years in fast forward, treating my craft like a full time job far before I received my first pay check. WOW: Well, then you're the perfect person to tell us all about building a writing career! First, give us the details. How many series have you written and in what genres/themes? Julie: I started with a sweet romance series for Turquoise Morning Press called Seeds of Love. I wrote three novellas for that series. Afterward, I added two full novels to the set. The sweet romances are part of the Honey Creek Books line and take place in a small fictitious rural Ohio town. There’s something about sweet tea and southern charm that makes me smile. I really enjoyed writing those. Last winter, I contracted a YA fantasy/romance series with Lyrical Press/Kensington. The first book in that series releases October 6th and the second is tentatively set for February 2016, though I finished writing it in August. WOW: I know sometimes publishers develop series ideas and then find writer(s) for them. Have you developed your own series, written publisher developed series or both? Julie: So far, I’ve developed my own concepts and presented them to publishers. I’ve been fortunate to find editors who connected with my characters enough to go to bat for them at committee and get me into the lineup. WOW: We're all familiar with series that feature the same character with different adventures in each book. But there's also a type of series that features different characters but have another common thread that makes them a series...maybe they take place in the same town or the books have a similar theme like "second chances". Which type of series are you involved with? Julie: Honey Creek is an example of series writing where one story’s main characters become another story’s secondary characters or even cameo characters. That was a lot of fun, seeing my babies interact with one another and pop up at a diner or street fair, dispensing advice or catching fireflies. My mystery series are the more traditional variety. The stories follow the same main character through many adventures. The fun thing about cozy mysteries and amateur sleuth books is the way secondary characters maintain their role. A handful will come and go because they are specific to the story/crime, but the majority of all characters stay and become extended family to the heroine and the reader. Readers become one of the gang and look forward to seeing what everyone’s been up to since the last book released. WOW: Here at WOW we've discussed where book ideas come from, but I'm sure we're all wondering about series ideas too. After all, it has to be an idea that can carry you through several plots. What about an idea makes you think, "That would make a good series" instead of "That would make a good book." Julie: I know from the start if the concept will be a series. Many concepts can be a series, like a romance where secondary characters can become main characters in later storylines, or where threads of the completed story can unravel later, if the author chooses, and create an ongoing saga for readers. In those stories, the book seems to end, but there are things left unsettled, small things, not enough to leave the reader dissatisfied, but enough to grab onto and pull if needed. Other stories are created to be a series, like my mysteries, for example. I set out to create a heroine who can become a reader’s best friend. I want her to be interesting and quirky, smart and lovable. Then, I give her a great supporting cast, a love interest and a big problem. In this scenario, the characters are very important. The reader has to be willing to follow them anywhere and hopefully through lots of different adventures in the future. In the Calypso series, my YA series, I have an average teen who learns mythology isn’t mythical and there’s a budding Norse apocalypse on the way. In the first novel, Prophecy, I wrap up the novel’s major plots at the end, but a topic like demi-gods in present day Ohio is the kind of thing that leads to other stories. Mythology is big. I could take her on endless journeys with any number of mythological creatures, gods and troubles. I plan to. It’s important to me to find publishers where I can grow, so I always try to plan ahead for a potential series. If I find a press who likes my work and a readership willing to read it, I want to hang on to both. WOW: Have you ever developed a series and then, after the first book, decided "I don't think there is another book"? Julie: Yes. Oh, and it’s a terrible feeling. I have a YA contemporary romance on submissions now and I wrote it at a time when many editors were openly requesting standalone titles. So, my agent and I decided to call it a standalone with series potential. I’d planned to take a secondary character from the book and make her the heroine in the next book. Heroine number one would leave for college and the other character would take center stage for my sequel. I’d hoped to do this several times, telling many love stories over the course of a long series. As it turned out, I really don’t have a solid idea for any further books. In my mind, book one was a one of a kind, how do I follow something like that??? book. So, if this manuscript finds a home contingent on a series, I’m in big trouble. WOW: I'm sure you'll manage somehow. But how does selling a series to a publisher work? Julie: I think the key is to start with the best book you can write. You want to get the publisher’s attention and hook them the way you want to hook your readers. Then, you let them know your book has series potential. If they’re interested in hearing more about this, be prepared. Have a query or pitch paragraph polished and ready for at least two sequels. This shows the person reading your proposal that you’ve given your series thought and developed a solid plan of action. Your vision will determine what happens from here. If you’ve taken the time to craft an interesting and creative set of sequels, chances are the editor will ask for three books instead of one. After all, you’ve already sold them on your amazing first manuscript, of course they’ll want to know what happens next. WOW: Why do you think series are so popular with readers (and publishers)? Julie: It’s my experience that digital first publishers love series more than traditional publishers. Probably because traditional publishers have more to lose if the first book flops. Digital publishers have less overhead and a quicker turn around, lower price points and voracious readers waiting on sequel after sequel. It’s in their best interest to keep popular authors producing popular series. As a reader, I think series are the best thing since Ovaltine because I never want books to end. With a series, I know there’s more coming. When I devour a book and know there’s a whole shelf more at the library, I experience nerd euphoria. Honestly, I seek out new series intentionally so I know I won’t be cut off after just one. WOW: Does a series make promotion easier? Does it keep readers interest if you can say "And the next book in the series is coming out in January 2015"? 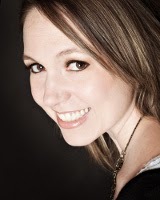 Julie: I think having a backlist makes promotion easier. I’m not convinced it helps to have more coming as much as it helps to have other titles waiting. When I find a book I love, I immediately look for more by that author. While readers wait for your sequel to release, they read other titles by you and in the process, you become a new favorite author. In this scenario, it’s no longer about loving the first book they read and waiting for another. Now, it’s about loving you as an author. They’ll likely read whatever you produce because they like your style. Better yet, they’ll tell their friends about you. I’m a huge champion of producing titles as often as possible. Certainly not at the cost of your craft. Don’t publish just to get something on the market, but definitely keep writing. Keep producing. Keep creating. Your readers will thank you. WOW: What advice do you have for anyone who thinks they have, not just a book, but a whole series in them waiting to be written? Julie: I say go for it! Start by giving everything you can to book one. This flagship is your seller. This gets you an agent, a publisher, readers. Make sure it’s the very best story you can tell before you send it into the world because you don’t get a do-over. Editors won’t look at it again once they say no. I know an author who sold her second book first, but she’s the exception, not the rule. Hook them with book one and then keep writing stories of equally high quality every time. Also, and this is just me…I never write a sequel until I have it under contract. This is why: I get rejected. A lot. What on Earth would I do with three or four books in a series I can’t sell? Self-publishing isn’t for me. Not now. Not yet. My goal is to climb this publishing sand dune the traditional way. If they don’t buy book one, then writing book two and three wasn’t the best use of my time. Once I finish a book and put it on submissions, I start something new. I keep the balls rolling in multiple directions. Again – that’s only my opinion, but it’s working for me, so I’m sticking to it. WOW: What's coming up next? 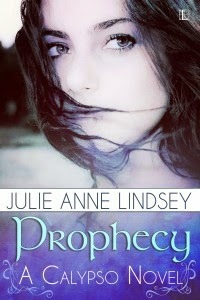 Julie: Well, I'm facing a big month of promotion for the release of my third Patience Price Mystery Murder in Real Time and the same shebang for my debut YA fantasy novel, Prophecy. These books release 7 days apart. It will be madness. Meanwhile, I’m writing a short story submission for a YA Alice in Wonderland anthology. It seems 2015 is the 150th anniversary of my favorite classic, so I’m honored to be a part of that. Also, I’m working on book one in my new Geek Girl mystery series. I have three of those to write, so that should keep me busy for a while. All the shiny new concepts that pop into my head go in a file to look at later. Let’s hope I can leave the file alone. WOW: Julie, I'm getting tired (and envious) just hearing about all the balls you have rolling! Readers, why not share your ideas for a great series concept! 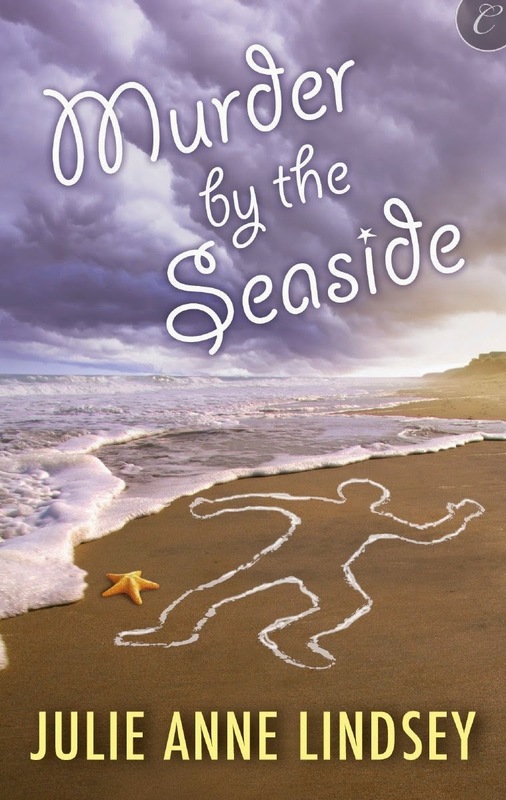 To celebrate the release of the third book in Julie's Patience Price Mystery series, book one: Mystery by the Seaside is just 99 cents for the month of September. Her first publisher, Turquoise Morning Press, is also re-releasing eight small town romances (including Bloom by Julie Lindsey) for just 99 cents. I'm no math whiz but that works out to around 12 cents a book! Great tips. I know I've got the best cheerleader I my corner *waves*!!! Great interview! I'm so glad I stopped in to read it. Thanks Jen, Magdalena and JC. I've got cartwheels and high kicks galore. Just ask if you ever need some! I also carry jazz hands and spirit fingers. Just sayin'. Fantastic interview, Julie! I love WOW and am thrilled you were featured here! This is very inspiring! Makes me want to run to the keyboard. So glad to read of your success, Julie! Your blog was always a favorite stop on my tours. Congrats!